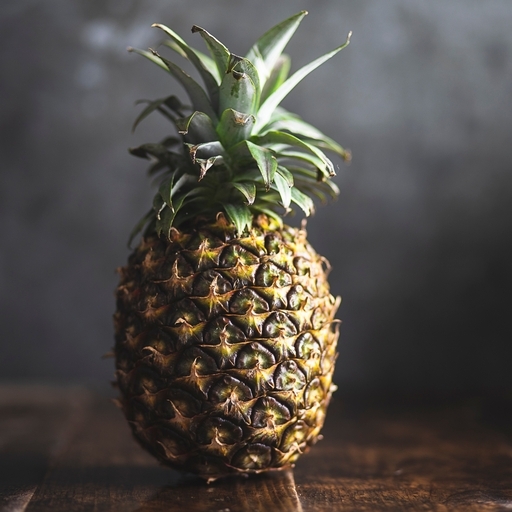 Beautifully sweet and juicy organic pineapples, grown by small-scale Fairtrade farmers in West Africa; Riverford founder Guy Singh-Watson has visited the growers in Togo himself, to be absolutely sure that everyone gets a fair deal. Some varieties are naturally green skinned, but they are always ripe and ready to eat. No need to wait until the skin turns golden – just tuck in. Try Kirsty's pineapple upside down cake here. Eat raw, or try grilling with a little sugar and rum for a Caribbean feel. It’s a common misconception that the leaves come off easily when pineapples are ripe; in reality this happens when they’ve turned. Enjoy them soon, while they’re at their best - we suggest you eat them within a couple of days of delivery.